It’s a super special double Apocalypse Weird update this week thanks to my Internet free vacation in Boston last week. Bonus points for spotting the unexpected trip to watch the Vancouver Canucks in the Stanley Cup playoffs (205 words in 7 minutes), the day we flew to Boston (2,396 words in 178 minutes) and the day my wife spent resting up ready for the race (2,202 days also in 178 minutes). And here’s the graph for last week. 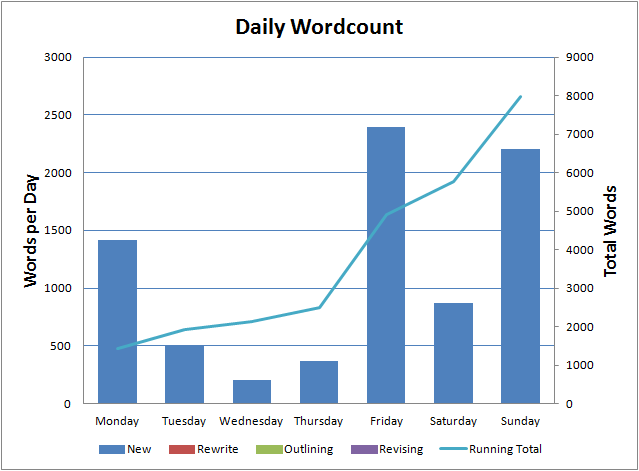 More bonus points for guessing which day we flew back from Boston (2,865 words in 194 minutes). Over the two weeks, I wrote 14,005 words, just over 10,000 of which were written on the trip. I’m very happy with that. 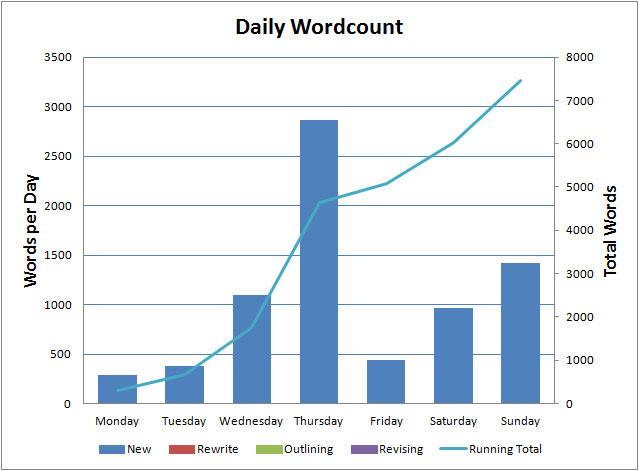 Total word count at the end of Sunday was 57,703. There’s some outline notes and a few bits and pieces in there that will deleted before the first draft is complete but it looks like the book will end up within the 55-75,000 word count goal I’ve been given. That’s a good thing. I’m just hitting the finale of the book. Stories (good ones at least), are made up of peaks of action and troughs of (relative) down time. The closer you get to the end of the book the more dramatic the peaks (in Star Wars, Luke attacking the Deathstar is a lot more exciting than Ben fighting Vader, even though Ben’s death is a key point in the film). I’ve just written the first of the two big peaks in the finale. The second peak is about to punch our hero in the face. Once that is done, it’s all down hill from there to the end of the book. I’m probably still a couple of weeks away from finishing but this is an exciting part of the creation process. Given the option, I’d be working on these final chapters 24 hours a day until they were done. 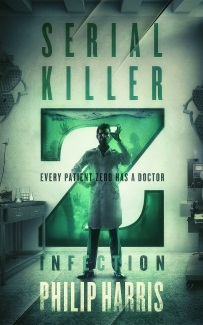 And a reminder, the team at Wonderment Media have launched an IndieGoGo campaign. There’s lots of cool stuff there, including signed books, limited edition hard covers and a lifetime subscription to Apocalypse Weird. Check it out. Get a FREE copy of my short story, Only Friends by subscribing to my newsletter.